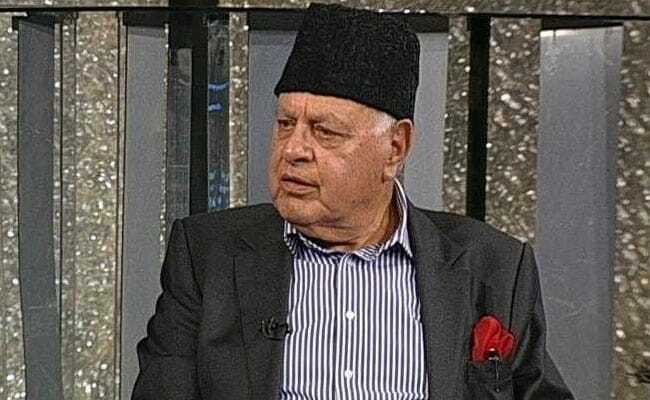 Referring to Indian Army Chief Bipin Rawat's comments on holding talks with the Taliban for peace in Afghanistan, former Jammu and Kashmir Chief Minister Farooq Abdullah on Thursday asked why the centre was not initiating a dialogue with the Hurriyat leaders in the Valley. Speaking at a seminar entitled 'J&K-- The Road Ahead' in Kolkata, Mr Abdullah said leaders like former Indian Prime Minister Atal Bihari Vajpayee held talks with the separatist leaders to end the cycle of violence in the state. General Rawat had on Wednesday said there should be talks with the Taliban to bring peace in Afghanistan, but asserted that the engagement must be without any preconditions. National Conference president Abdullah also emphasised that Army and force can never solve the internal crisis in Kashmir and hoped that dialogues to solve the issues would be reinitiated after the Lok Sabha polls. He also claimed that each election has divided the country instead of uniting it.